Any law that uplifts human personality is just. Any law that degrades human personality is unjust,” the Reverend Dr. Martin Luther King Jr. I am grateful that the primatial communion continues to stay at the table. Their decision to sanction the Episcopal Church for her decision to change the marriage canon is painful. However, if the cost of upholding human personality is a sanctionable offence then I am happy to be part of a faith community that is deemed guilty of such an offence. While our unity is in Christ our differences also are in understanding the love of Christ. I pray that our unity thrives even while our differences are authentically contextual. 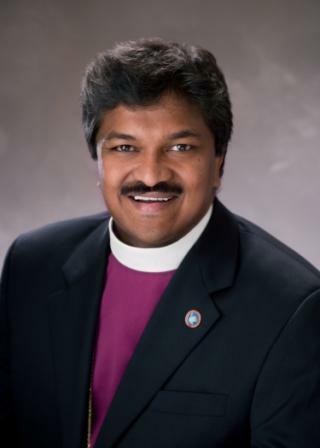 As Bishop in the Church of God I pledge to continue protecting the dignity of every human being in my care and in guarding the sanctity of marriage as approved by the General Convention of Episcopal Church. The Anglican Communion is more than primatial opinion. It is, at its core, the prayer of Jesus that all may be whole, holy and one. We have work to do in healing a hurting world despite our strained unity.